Could the atmosphere of earth have been propagated by wave frequencies just prior to one of the most historic storms in US history? 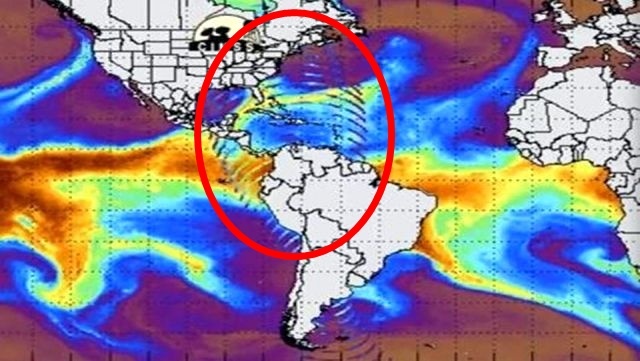 image bellow : Massive wave burst extending over North and South America prior to historic storm in US. And the strange ‘salty’ spheres have been sprayed into the atmosphere at high altitudes in order to make it snowing sooner and heavier than it might have done? We have seen it before that Governments have the ability to cause massive floods, droughts, earthquakes and other severe weather patterns by using technologies to devastating effects – even on their own people, indeed.